and educational way with a PTV Business Membership! Business Memberships are FREE for local Non-Profits. Contact info@provincetowntv.org to join! 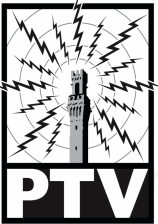 PTV Business Memberships are a great, tax deductible way to increase brand recognition while supporting the Provincetown community. PTV offers a variety of Business Memberships with PTV produced recognition on our channel ranging from a simple Logo Spotlight to a 30 second Video Spotlight. PTV Business Memberships allow five representatives from your business to receive training to check out and use PTV equipment to produce non-commercial programming. Educate, entertain and enliven the public with tips, tricks, and great content and keep your business in the forefront of the public eye. Your business retains copyright to all your material so you can use your programs and spotlight on your website and social media, and all content will be aired on PTV99 and online. PTV content and logo or video spotlights can include logos and corporate slogans which identify your business, interior and exterior shots of your business, educational content, location, some contact information, and value neutral descriptions of your product lines or services. Please keep in mind, because PTV is a Public Access Station, there are a few rules we must follow when creating content, and logo and video Spotlights. Content cannot include qualitative or comparative language or claims, price information, or any solicitation of a direct viewer response, such as “ Buy one today...", “ Give us a call...", or “Visit our showroom...". Logo tile on the Supporting Member Page on the PTV website for one year.